Gavin Polone claims women control cable television, emasculating their husbands. 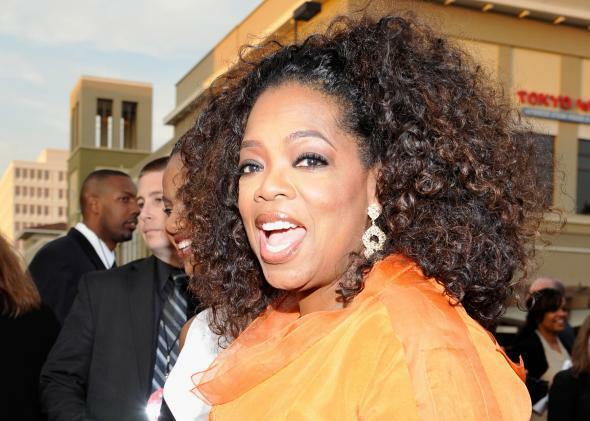 Cable TV boss Oprah Winfrey, who has no husband to lord over. Despite Polone’s protestations to the contrary, Hollywood is not a female-dominated industry. And whether or not women “virtually control cable TV” depends on your definition of the word virtually. According to the Center for the Study of Women in Television and Film, women made up just 26 percent of key behind-the-scenes roles in shows that aired on broadcast and cable networks or that were streamed on Netflix in the 2012-2013 season. That year, only 23 percent of creators, 24 percent of executive producers, 38 percent of producers, 30 percent of writers, and 11 percent of directors were female. (These numbers are no better for cable and Internet streaming than they are for broadcast networks.) And while women have made tremendous strides at the executive level in cable television—notable cable lady bosses include Jill Campbell, COO of Cox Communications; Anne Sweeney, president of the Disney-ABC Television Group; Oprah Winfrey, CEO of OWN; and Abbe Raven, president and CEO of A&E—they do not outnumber men. Turner Broadcasting System’s executives, who make decisions for channels like CNN, Cartoon Network, HLN, Adult Swim, TBS, and TNT (which, thanks to its NBA contract, is the most expensive cable channel after ESPN), are overwhelmingly male. So are HBO’s executives. AMC currently has zero female execs. Why would Polone argue that women “virtually control” cable TV when they haven’t yet reached parity in the industry, much less cemented their dominance? Maybe it’s just a misguided bid to spin an industrywide trend story out of three anonymous interviews. Or maybe “slacker husbands” aren’t the only ones who feel a little threatened by powerful women. If you take a look at an industry that’s still ruled largely by men and all you see is female “control,” you’re probably not super comfortable with the idea of true gender parity.